Find your perfect accommodation in Bourton-on-the-Water. This is a selection of recommended accommodation in Hotels, Inns Cottages and Campsites to enhance your weekend break or holiday in the Cotswolds. Bourton-on-the-Water is one of the most beautiful villages in England and is known as the Little Venice of the Cotswolds with several small bridges spanning the River Windrush running through the village. The village is highly popular with tourists and has many shops, eating places, and a good choice of accommodation and lodgings in the form of hotels, inns, bed and breakfasts B&Bs and self-catering holiday cottages. Alternatively go here for a list of recommended Bourton-on-the-Water Bed and Breakfasts. 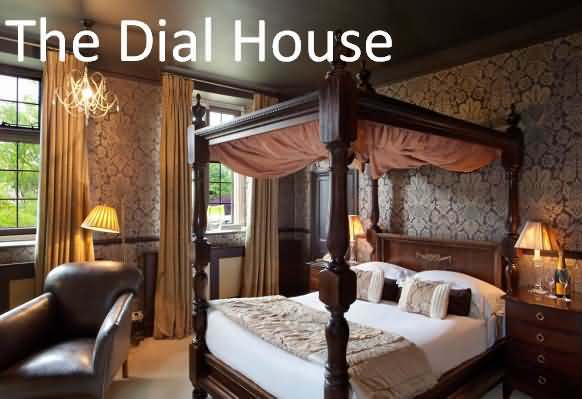 In the heart of the Cotswolds, The Dial House Hotel boasts free WiFi, and free parking on site. It has a peaceful walled garden with a private spa, so guests can relax outside in warmer weather. The elegant rooms at The Old Manse each have a private bathroom. All rooms have tea and coffee facilities, a work desk and hairdryer. Some rooms have wonderful period features and river views. The Old Manse Restaurant serves traditional British cuisine and light snacks. The bar offers real ales, and there is also a large garden terrace and heated patio. Full English breakfasts are served daily, with continental options also available at an additional charge. 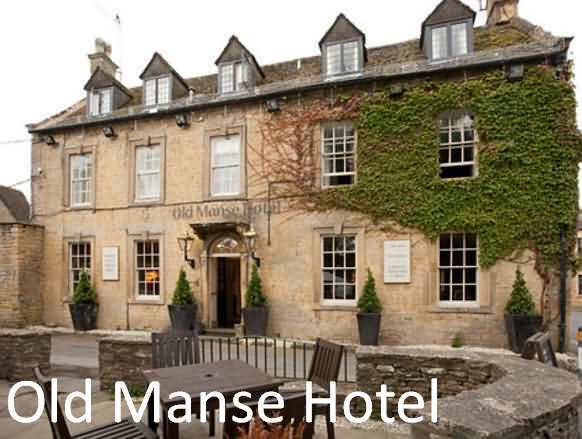 Built in 1748, The Old Manse Hotel is surrounded by beautiful Cotswold countryside in an Area of Outstanding Natural Beauty. The pretty village is home to The Model Village, which is just 350 yards away, and the Motor Museum is a 5-minute walk. 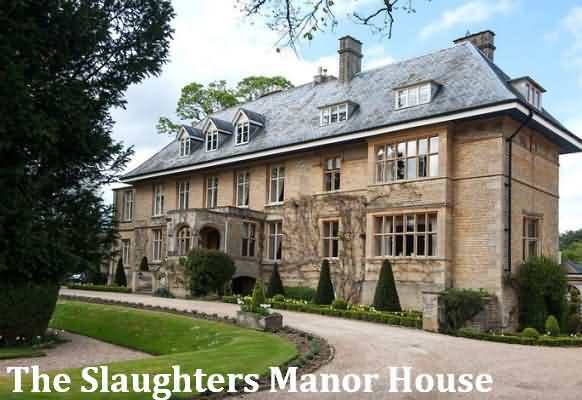 The Slaughters Manor House is a 17th century manor house hotel in the very heart of the Cotswold countryside. Located in the magical village of Lower Slaughter 1.2 miles away from Bourton-on-the-Water. Rooms and suites here are en-suite with free Wi-Fi, iPod dock, colour television and DVD player. Some suites enjoy the benefit of a private garden and a hot tub. Outside there is a landscaped garden and croquet lawn, whilst inside The Slaughters Manor House, the lounges are places for relaxation. Full cooked is one of the breakfast choices served in the restaurant. Later, afternoon teas are on offer and evening dining features imaginative menus which incorporate the wealth of fresh seasonal produce to be found locally. 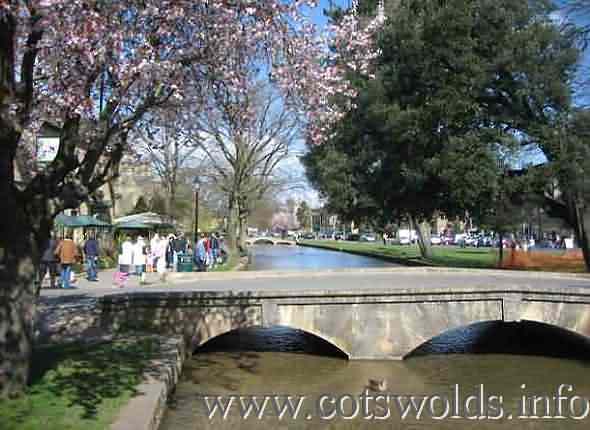 From Lower Slaughter, the Cotswold villages of Bourton-on-the-water, Stow-on-the-Wold and many others, are easily accessed along with attractive towns such as Cheltenham and Cirencester. 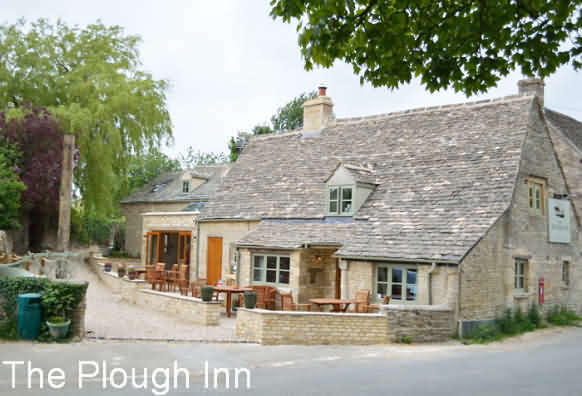 The Slaughters Country Inn offers 3-star accommodation in a 17th Century Cotswold stone inn on the banks of the River Eye, 85 miles from London. The inn is found in the village of Lower Slaughter, 30 minutes from Cheltenham and the Cheltenham Racecourse, and a short drive away from Moreton in Marsh, Broadway and Chipping Camden. Located just 1.2 miles from Bourton-on-the-Water. A total of 31 individually-designed rooms, suites and cottages are available, some of which have exposed wooden beams and village views, and all have free Wi-Fi, a TV and seating. Guests can enjoy exploring the gardens, dogs are welcome and free parking is available. The Slaughters Country Inn pub offers breakfasts, afternoon teas, evening meals, local ales and wine, while a riverside terrace is available year round. Pleasant walks are easily accessible, the Old Mill Museum is a few minutes away, and a 5-minute drive connects to Bourton on the Water. The Brumpton family including 3 black labs, 4 horses, 2 ponies and a variety of chickens invite you to Home Farm Holiday Cottages. 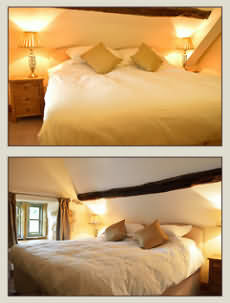 New for 2010 we have 3 traditional Cotswold Stone cottages available as holiday lets. Apartment 1 + 2 (4 persons) - One Week Stay £450.00; 3 Day Break £265. Windrush self catering apartments are located in the heart of the Cotswolds in Bourton On The Water, approximately 200 metres from the centre of the village. 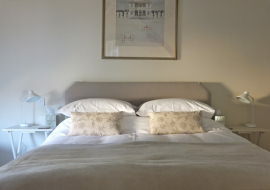 We have two self catering apartments available in the heart of Bourton-on-the Water each sleeping two persons both apartments can be used together to accommodate 4 persons. Private parking with each apartment. Apartment 1 - Consisting of 1 double bedroom with en suite shower room. A spacious lounge / dining room with television and DVD player. Fully equipped kitchen with double oven cooker, microwave, fridge and dishwasher. Apartment 2 - Consisting of 1 double bedroom with shower room / wc. Sitting room with television, kitchenette area equipped with sink, toaster, kettle, fridge and microwave. All bed linen and towels provided and children 8 years and over welcome, but sorry no pets. Open all year (including Christmas and New Year). Buckle Barn is a beautiful mid-19th century listed Cotswold stone barn in Upper Slaughter, one of England’s most desirable villages. With the River Eye flowing between honey coloured stone cottages and grand houses, this peaceful hamlet is as good as it gets! In the heart of the village, hidden behind the walls of former dairy farm, Buckle Barn is an ideal retreat for a couple who want to enjoy stylish accommodation in a peaceful location. The barn is packed full of character with stone floors, vaulted ceilings and wooden beams. 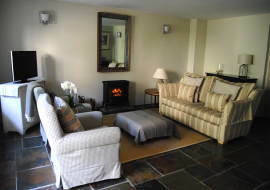 The sitting room has a cast-iron electric stove, subtle lighting and high quality soft furnishings with warm woolly throws for cosy evenings. Upstairs the large vaulted bedroom offers crisp cotton sheets and warm blankets for a restful sleep. The comfort continues in the bathroom with deep pile towels, bath robes, complimentary slippers and a luxury bath with powerful raindrop shower. There are stunning walks from the doorstep with an abundance of glorious countryside to take in. Many well-known Cotswold towns and villages are within easy reach including Stow, Burford, Chipping Campden and Bourton-on-the-Water. The sister village of Lower Slaughter (voted most romantic street in Britain 2011) is a short stroll away. This country retreat is available for your sole use on a self-catering basis for long weekends and weekly stays. Prices are dependent upon the time of year, therefore please contact Coco Carroll for a personalised quotation. Located in the village of Bourton-on-the-Water in the heart of the picturesque Cotswolds, Bourton Croft Cottage boasts free WiFi access and free parking at a nearby location. Bourton Model Railway and the Cotswold Motoring Museum & Toy Collection are both less than a minute's walk from the property. 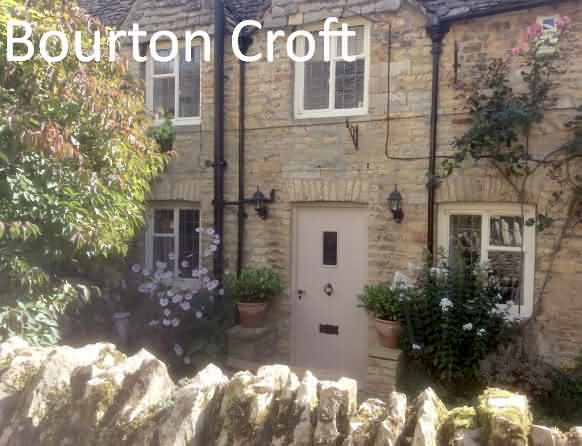 Bourton Croft Cottage is constructed of local Cotswold stone under an old-style Cotswold roof. The property's spacious living room creates a cosy atmosphere with its natural stone floor, traditional timber features, leather sofas and wood burning stove. The living room comes complete with a 33-inch flat-screen TV, DVD player and iPhone charger and speakers. With 3 double bedrooms and 2 bathrooms, the property can accommodate groups in absolute comfort. The well-equipped kitchen has a dishwasher, cooking facilities, washing machine and tumble dryer. Guests have access to the private courtyard via the property's solid oak front door. The property is less than 50 yards from the river, and a 5-minute walk from everything that Bourton-on-the-water has to offer. Cotswold Wild Life Park is 12 miles away and Cheltenham Racecourse is 30 minutes' journey by car. This property also has one of the best-rated locations in Bourton on the Water! Guests are happier about it compared to other properties in the area.